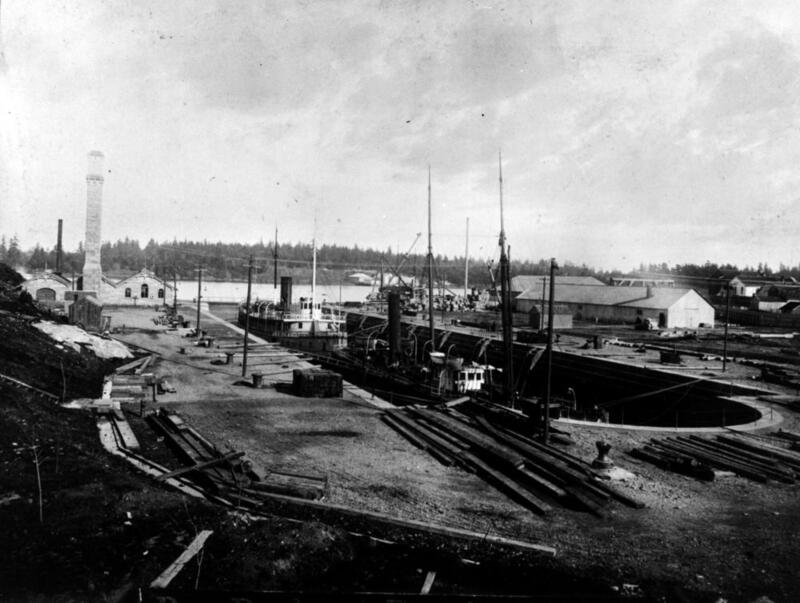 ItemA-07724 - CPSS SS Charmer being repaired in dry dock after colliding with SS Tartar off Point Grey, Vancouver. ItemA-00026 - Canadian Pacific Railway SS Charmer And SS Barbara Boscowitz Leaving Victoria Harbour. ItemA-00027 - CPR SS Charmer leaving Victoria harbour. ItemA-00025 - Canadian Pacific Railway SS Charmer, SS Cariboo, SS Fly in Esquimalt dry dock. ItemG-04704 - Canadian Pacific SS Charmer, In Esquimalt Dry Dock. ItemA-01550 - Canadian Pacific SS Charmer off Victoria. Item A-00025 - Canadian Pacific Railway SS Charmer, SS Cariboo, SS Fly in Esquimalt dry dock. Restriction: image HP00138 is a glass plate negative. Researchers should consult the online reference image or reference room copy prior to consulting the original.